If you are looking for maximum storage for your business needs, Seagate may well have the right hard-disk for you. The data storage solutions provider recently launched its advanced range of 14TB hard-discs that includes SkyHawk that can store over 9000 hours of HD video, IronWolf for your NAS needs, and the Barracuda Pro for desktop computing. The Barracuda Pro offers small businesses, IT staff and creative professionals with industry leading 7200 RPM spin speed and transfer rates of up to 250 MB/s are possible. What this simply means is that you can now efficiently transfer large files to an attached backup or even engage in data-intensive editing of 8k videos. For NAS drives, Seagate now provides IronWolf and IronWolf Pro drives that are optimized with AgileArray firmware, which provides dual-plane balance, rotational vibration sensors, advanced power management and error recovery control and as well improves RAID performance. Additionally, customers get peace of mind with Seagate IronWolf Health Management and 2-year Seagate Rescue Data Recovery Services. 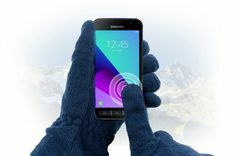 The comprehensive health analysis and status updates allows users to be preventative and not just reactive. The IronWolf and IronWolf Pro drive comes with 2 years of Seagate Rescue data recovery as well as a 3 and 5-years limited warranty respectively. The SkyHawk is optimized for surveillance, providing your business with enough storage space for more than 9000 hours of HD video. This drive also comes equipped with ImagePerfect firmware that minimizes dropped frames and downtime. And like the IronWolf’s, the SkyHawk features a Health Management technology that actively monitors and analyzes the drive’s health, empowering its users to prevent, intervene and recover from potential anomalies. On the other hand, the Exos X14 is designed for hyperscale data centers, and according to Seagate, this drive boasts “the industry’s lowest power consumption and best performance in its class.” The drive also features the “always-on” Seagate Secure protection that effectively encrypts data without performance degradation. 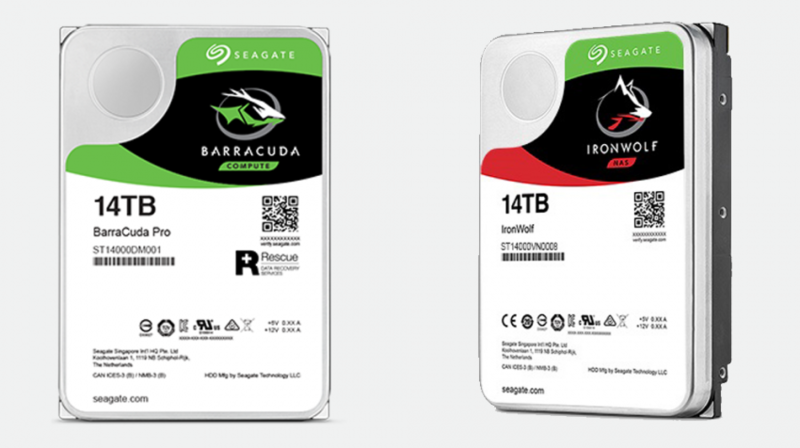 Seagate says that the The IronWolf and IronWolf Pro 14TB are available starting from $529.99 and $599.99 respectively, while the BarraCuda Pro 14TB and the SkyHawk14TB are going for $579.99 and $509.99 respectively. The Exos X14 is available at $614.99.